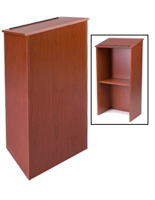 Knock-Down Style Lecterns Ship Sameday, Buy Before 1pm EST! 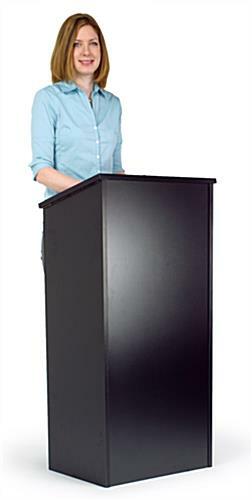 This Podium Is Made To Be Simple & Easy To Take Apart & Put Back Together! 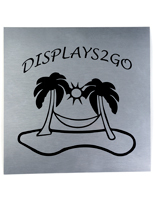 Black melamine covers 3/4" thick MDF wood for a durable display. 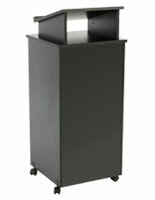 45"h x 23"w x 15.5"d dimensions hold notes at a comfortable reading level without a large footprint. 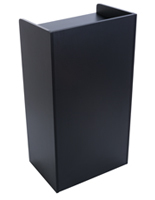 Knockdown design allows users to transport and set-tup the unit easily. 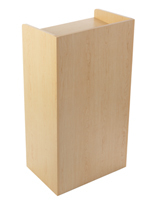 Interior shelf serves as a storing area for reading materials, visual aids, or other accessories. Attention those with limited storage space or frequent travelers! 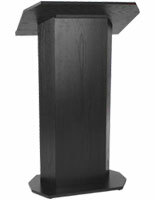 These durable, knock-down style lecterns are exactly what you've been looking for. 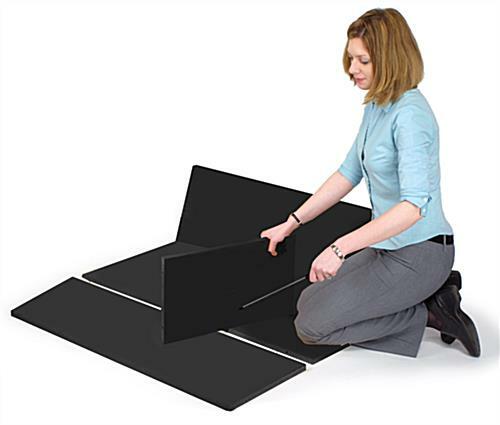 They are easy to set up and break down, enabling you to box up or store the pieces without taking up much space. 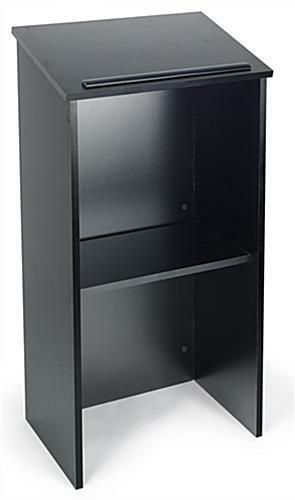 This black melamine unit is made of 3/4" thick material. 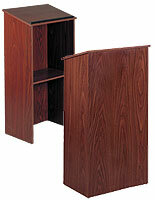 It measures 45" tall by 22" wide by 15.5" deep and weighs about 55 lbs when assembled. The reading (top) shelf measures 23" wide by 15.75" deep. 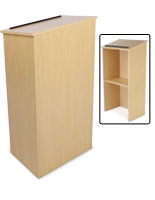 The hidden shelf in the back of the podium is 20" above the floor and measures 20.5" wide by 12" deep. This unit ships economically in one compact box. 23.0" x 45.0" x 15.5"